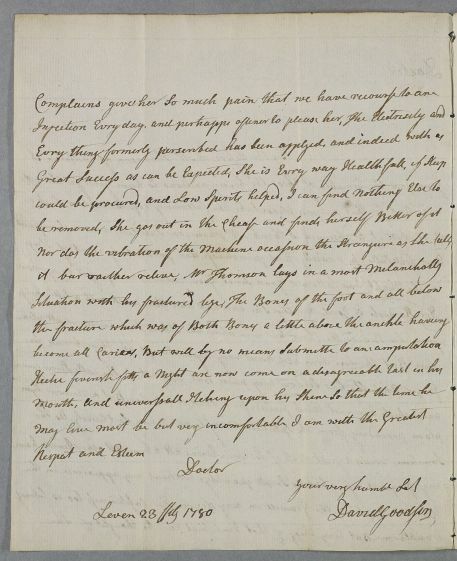 Letter from David Goodsir, Leven, concerning the case of Mrs Thomson of Charleton: 'Lett it be observed I think Mrs Thomsons Intellects are much impaired.' She can now walk a little with assistance and can go out in a chaise, but her arm is still partly paralysed and her urinary tract complaints continue. The electricity has been used. Meanwhile, her husband is in a dangerous condition due to a leg fracture, now carious, and 'will by no means submitte to an amputation'. 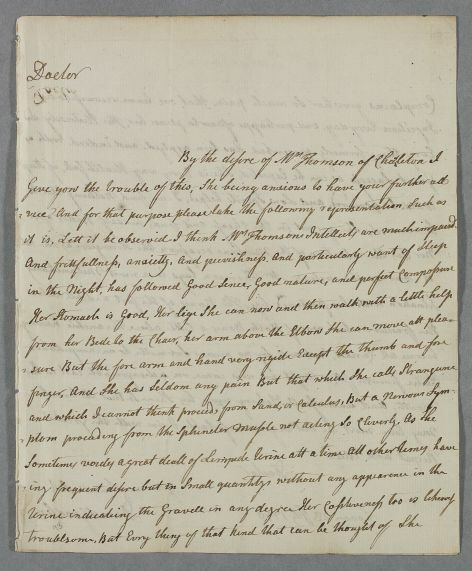 Summary Letter from David Goodsir, Leven, concerning the case of Mrs Thomson of Charleton: 'Lett it be observed I think Mrs Thomsons Intellects are much impaired.' She can now walk a little with assistance and can go out in a chaise, but her arm is still partly paralysed and her urinary tract complaints continue. The electricity has been used. Meanwhile, her husband is in a dangerous condition due to a leg fracture, now carious, and 'will by no means submitte to an amputation'. 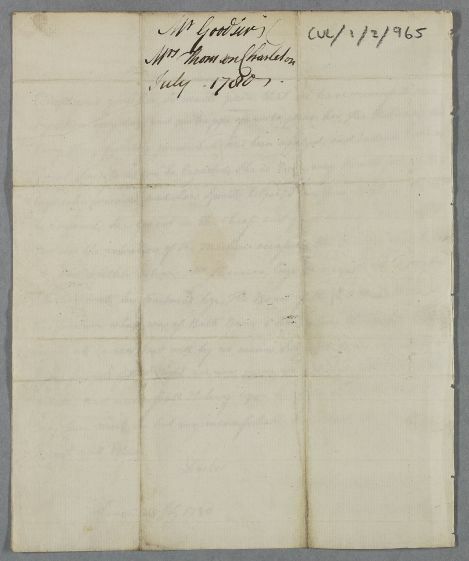 Case of Mrs Thomson of Charlton who suffers from sleeplessness and abdominal pains described as hypochondriasis. She is later suspected of having bladder stones and has a paralysis in the arm. Case of Mr John Thomson of Charleton with a fractured leg. it is. Lett it be observed I think Mrs Thomsons Intellects are much impaired.